The new Empress Series is designed to deliver long-range, smooth performance with low vibration. 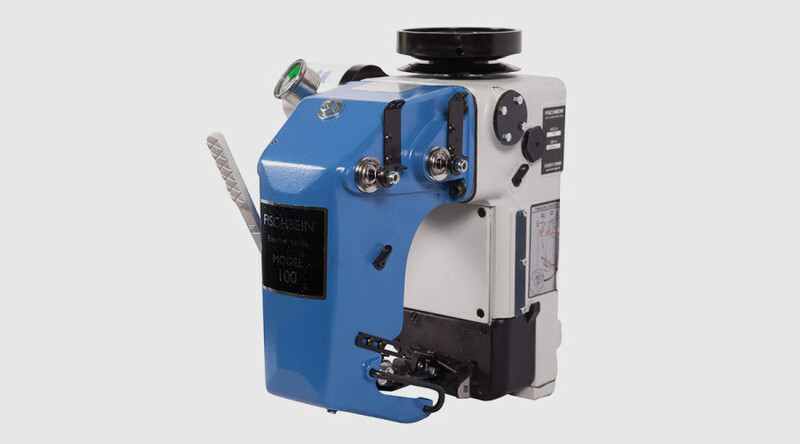 Featuring variable speed and a compact design, Model 100 Standard Sew and Model 101 Tape Sewing Heads are the latest innovations in trouble-free bag-sewing. Our plain sew Fischbein Empress® Series sewing heads are known for their durability and craftsmanship. 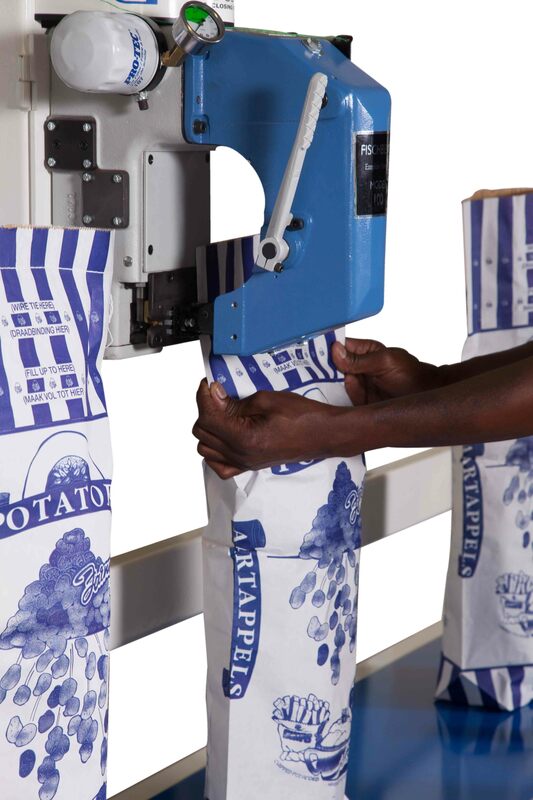 Constructed from heavy duty metal components, the versatile and compact Empress sewing head is designed to securely close filled open mouth, multi-wall paper, woven and laminated woven polypropylene bags in the most demanding work environments. 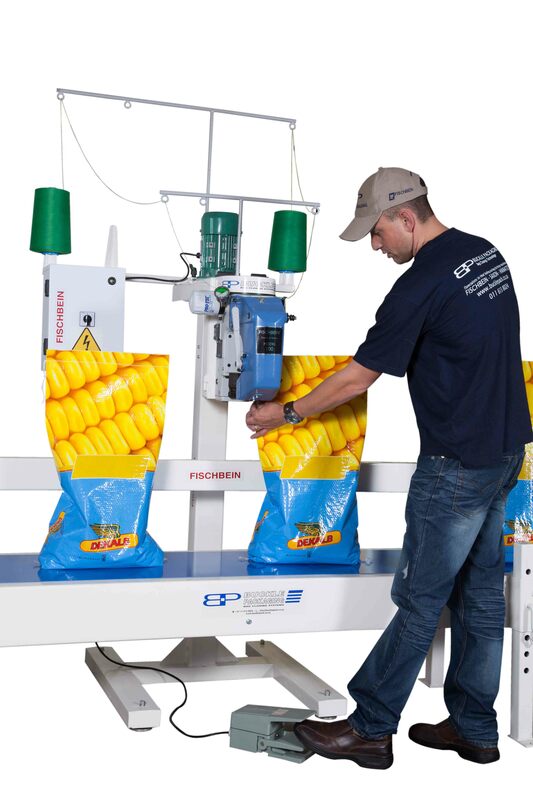 Fischbein’s pressurized, self-lubricating system protects moving parts and ensures maximum productivity with low maintenance. A wide variety of accessories are available for Fischbein sewing heads. Among them are various mounting pedestals, power infeed systems, a full range of conveyors, bag-top folders, thread and tape-break detectors, bag coders, and photoelectric controls for system integration. For maximum performance use Fischbein sewing thread and genuine Fischbein parts. 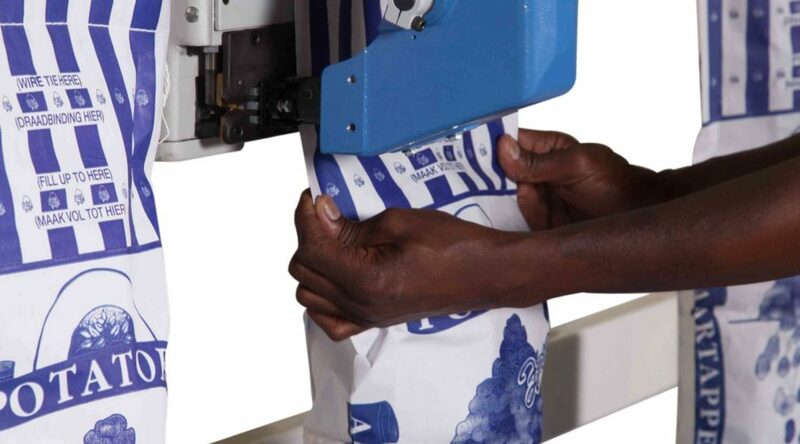 Any type of heavy duty, high speed bag closing. Sealed in oil against dust, dirt and foreign particles. Easily adaptable to your existing equipment. 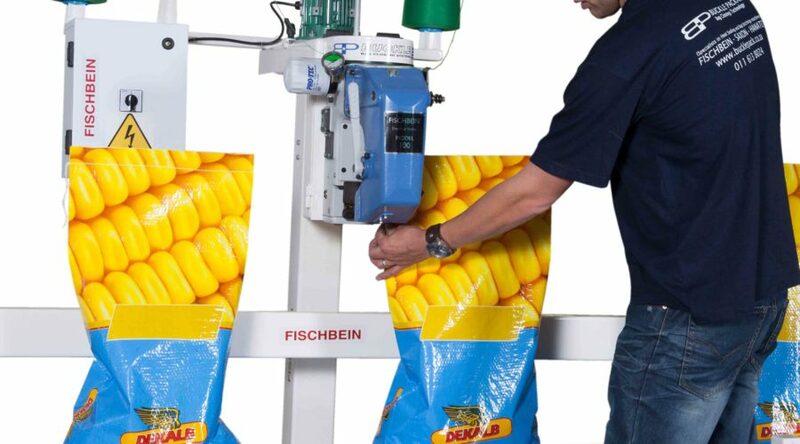 Fischbein’s patented, pressurised, self-lubricating system protects moving parts. Stitch Range: From 6 to 12,5mm. RPM: up to 2200/min. max. Sewing speed: max 37 metres per minute at max. stitch length. 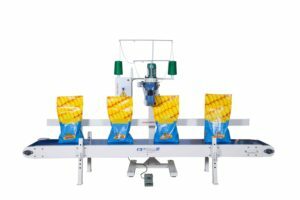 Capacity: up to 39 bags/min for a bag width of 600mm. 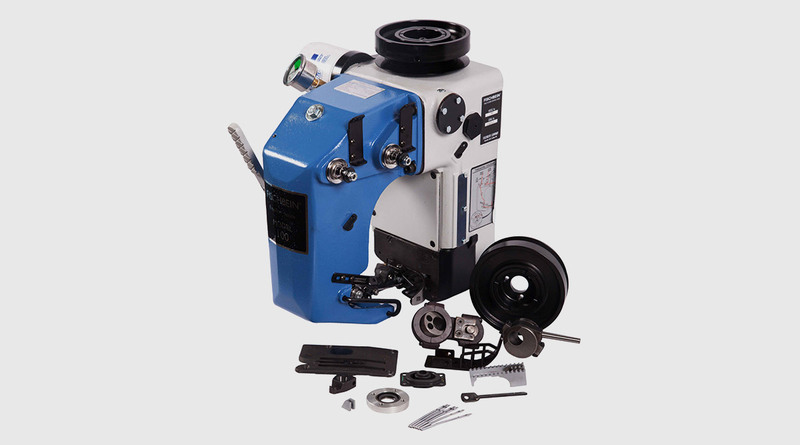 Optional rotary knife system available. Option pneumatic thread pusher available.